Southeast Asia (SEA) is a region full of many wonders. Humbling religions, exotic wildlife, blissful beaches, hectic cities and mouth-watering food make some of the elements of why Southeast Asia is one of the #1 places to visit as a traveler. For years, many solo travelers have picked Southeast Asia shores as their travel destination and it has been said, it’s kind of perfect. People back home may wonder why, what makes Southeast Asia perfect for solo travelers? Well, the social scene and places to party in Southeast Asia is awesome. Also known as the gateway to Southeast Asia, the Thai capital is most travellers’ first port of call when travelling the region. With it’s bustling nature and 24-hour nightlife, nights out in Bangkok can get crazy. The most notable place in there is Khao San Road, an age-old backpacker strip with loud music, street bars and nightclubs. Now, if you’re looking for pre-drinks in one of the most sociable hostels in the whole of Southeast Asia, Nappark Hostel is a wonderful place to start. This Thai southern island seems to be on many traveller’s bucket list thanks to its monthly Full Moon Party. With tens of thousands of travellers hitting Haad Rin Beach at once, your odds of meeting other solo travellers to party is quite high. So if you’re a solo traveller at the beginning of the night, there’s no doubt you’ll meet new friends here. There are many clubs and pop-up bars when it’s Full Moon time, all laced with alcohol-induced buckets, so for that, there’s no better place for a party. However, do be careful when drinking from the pop-up bars stalls here. Cheap alcohol can be dangerous! Often advertised with its popular Maya Bay situated inside a limestone cliff lagoon. This iconic beach was the set of Leo Di Caprio’s movie “The Beach”, released way back in the year 2000. But Koh Phi Phi is not only an amazing place to visit during the day, the island itself is a party-mad kind of place. With bar crawls, beach parties and a constant vibe, Koh Phi Phi is carnage. You’ll never have problems meeting travellers here. 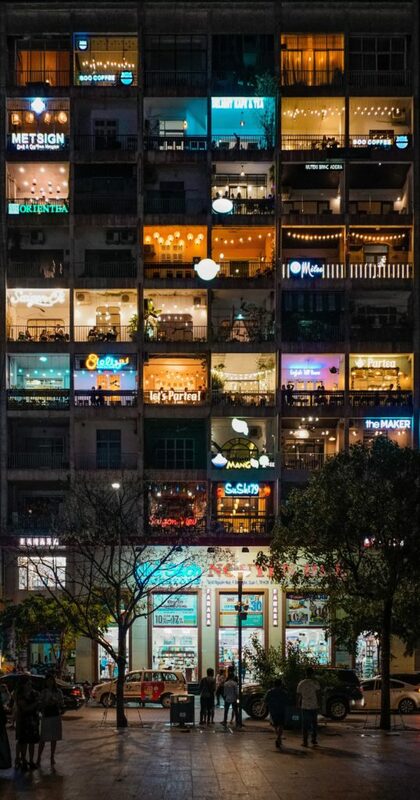 The capital of Vietnam is that kind of charming and cosy city with cool quirky bars popping up everywhere. Here, “The Old Quarter” is one of the most visited places by travellers, full of outdoor bars, seats and $0.50 cent rice beers!! Making it the perfect spot to meet others. Although some companies put bar crawls on, which seems a little too much, it’s not difficult to meet fellow travellers in Hanoi. Stay in and around the Old Quarter, or head to some popular hostels and you’ll no doubt meet people. Just past halfway down Vietnam, Nha Trang is a place that people love to visit and have a party. With tons of investment going on, travellers are flocking over there more than ever. Vin Pearl Waterpark is popular for travellers, as well as the beaches so you’re bound to bump into a fellow traveller over a beer or two! If the Thai islands are too much for you, the Cambodian Islands tend to have a better balance. Islands like Koh Rong can attract many solo travellers due to the place being less built up, fairly new to the traveller’s scene, and generally give you a more local vibe. With a pretty active nightlife most days of the week, meeting fellow travellers here is easy. Just go out to the beach and make friends! 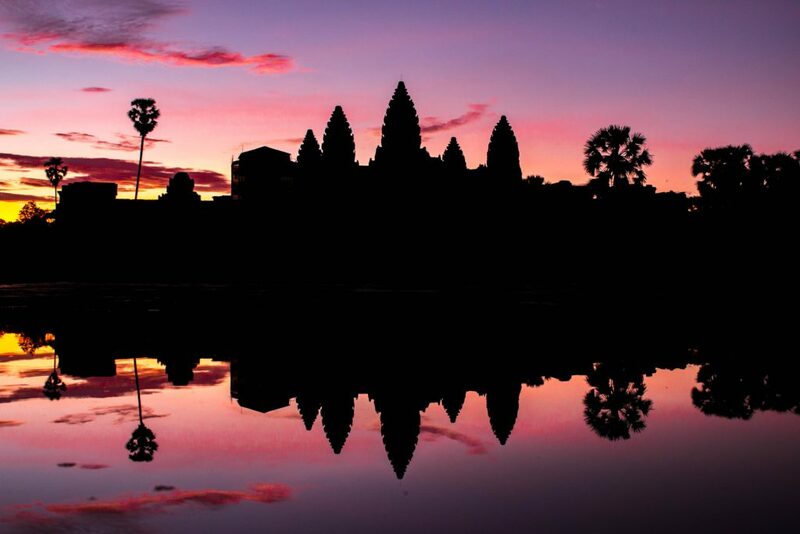 Although this city is the home of Angkor Wat, the world’s most visited religious site, Siem Reap’s small party scene still gets praise from travellers. After spending the day wandering around the intricate pillars of Cambodia’s #1 attraction, Pub Street is the place where solo travellers tend to roam around. Spend a few days here, seeing Angkor Wat during the day, and mingling with other travellers over Angkor Beer at night. The #1 island hotspot, is always buzzing with solo travellers. But despite partying travellers coming daily, the stunning white sand is kept impeccably clean across its main front. Once in Boracay you might want to consider visiting the Frendz Resort, which many would say is still the best hostel to make friends. With vibrant live music and located just a stone throw away from the main strip, fear not solo travellers, you’re going to meet people here. Aussies tend to love taking a trip to Bali for their holidays, like what Spain is for Brits or Hawaii to Americans. However, Bali is more than just an Aussie beach destination to other travellers. 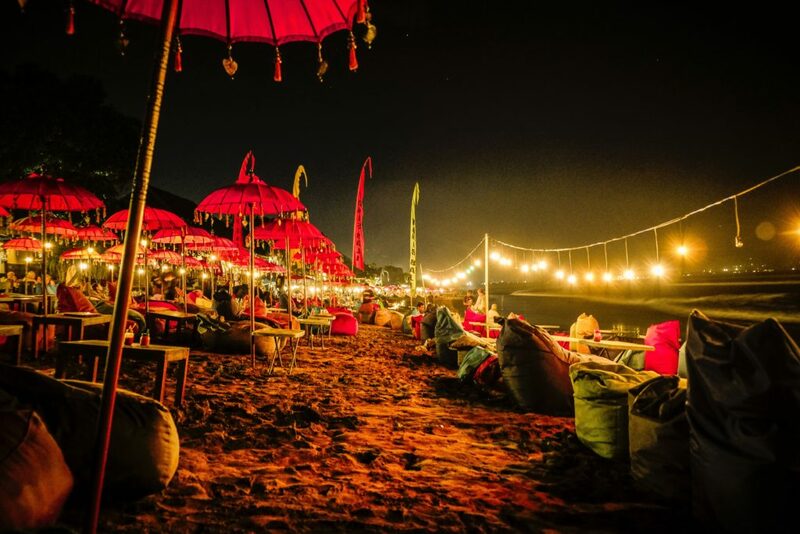 Kuta in Bali is a full-lit up place full of bars and parties. If you stay fairly central in Kuta you’ll soon realise you’ll be near many fellow travellers, many of them solo. Kayun Hostel is a good place for that, and if you want to party, there is no doubt Skybar will be at some point in your itinerary. Cars don’t exist on the island, but it can be cycled from side to side in around 30 minutes, so you won’t have to cycle far before you bump into another fellow solo traveller. So just get ready for “beach time during the day and party on the night”. This is generally the way to go here! Tommy Walker first left England back in 2012 and has been backpacking and living away ever since. He has backpacked South East Asia, India, South America, Mexico and Cuba, lived in Australia and New Zealand whilst mini trips to Europe and Oceania too. Tommy has had stints in Melbourne, Auckland and Bangkok. Tommy’s adventures have been the likes of roaming through India, revelling in Bangkok, hiking in Colombia and scuba diving in the Galapagos. Tommy has headed off the beaten track to places like Cuba, Guyana, Venezuela, Myanmar, India, Trinidad & Tobago and Paraguay.